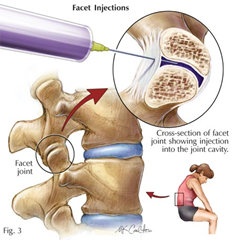 Facet joint injection consists of placing a local anesthetic (medicine to numb an area) with a steroid (an anti-inflammatory medicine) in a facet joint of the dorsal column. The facet joints are located between the vertebrae. There are 2 facet joints between each pair of vertebrae. 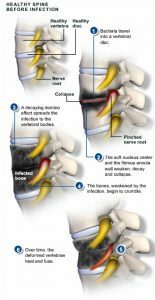 These joints give stability while allowing the spinal column to bend and turn. The use, wear, and old age can make these joints hurt a lot. What is the purpose of this injection? The goal is to relieve pain so you can return to perform your normal daily life activities unless your doctor tells you otherwise. In most cases, you can also do physiotherapy again. The patient remains awake during the entire intervention. Blood pressure, heart rate, and breathing are continuously monitored. With the patient lying face down on the intervention table, the site of the injection is cleaned with an antiseptic. 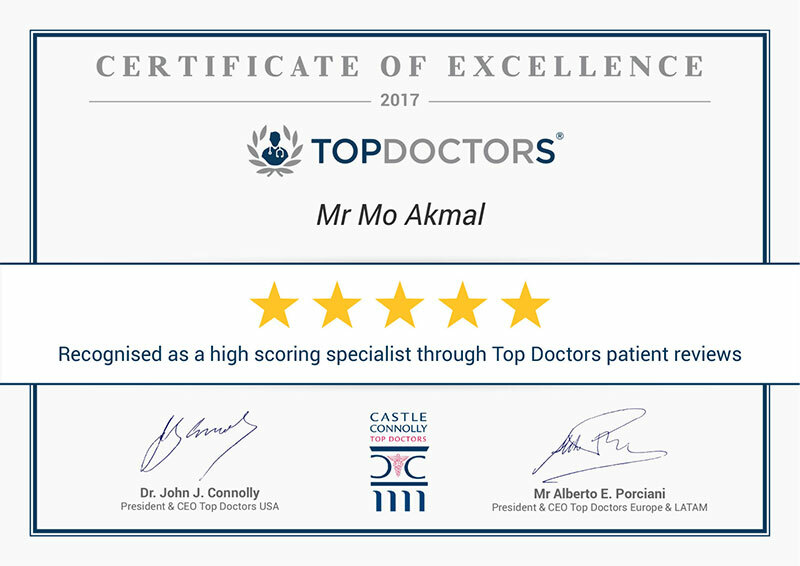 In this procedure, a needle passes through the skin, muscle and soft tissues, thus causing some discomfort for the patient. A little anesthetic will be injected to numb the place where you are feeling pain. This intervention takes around 30 minutes. What medicines are used in this intervention? Lidocaine or bupivacaine are local anesthetics that are used to numb the site of the injection. Numbness usually disappears between 2 and 6 hours after the intervention. Steroid medication such as Triamcinolone or depo-medrone is used commonly to treat inflammation and pain. The benefits of this steroid can take up to 10 days to appear. 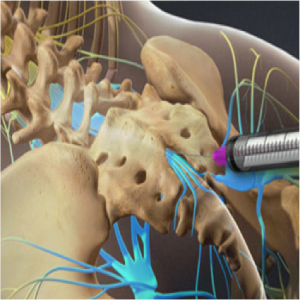 NextWhat is a Nerve Root Block ?